Your body stores excess energy in the form of glycogen and protein. When you work out, your body burns fuel from anything you've eaten recently, and then it breaks down stored glycogen. Your muscles start to use available protein to rebuild within a few hours of working out, but your body is especially good at absorbing carbs and protein within 45-60 minutes after your workout—the post-workout window. Read on for the list of foods you need to eat after workout that help recover depleted muscles and fuel muscles growth. Working out in gym is just half the battle. Do you feel too exhausted afterwards and don’t seem to gaining more muscle? Often the problem may not be your exercise routine—it might be what’s on your plate. What you eat after a workout in gym is the most important food you eat through the day. It is like this – your muscles store excess energy in the form of glycogen & protein and, when you workout your body uses fuel first from the foods that you have eaten recently, then it breaks down glycogen stored in muscles. Within a few hours of your working out, muscle protein drops and muscles start to break down. Biologically, within a 45-minute window, your body is the most responsive for absorbing carbohydrates and protein. Below are listed best foods to eat after a workout to fuel and replenish the depleted muscles. 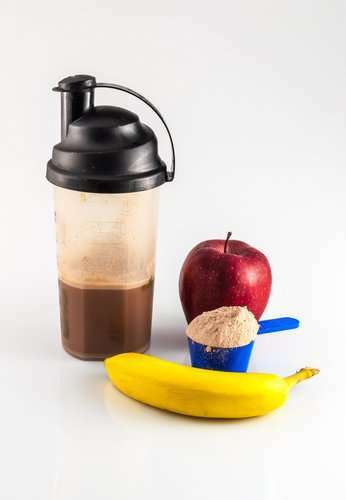 To Fit It In: It’s not just for muscle-heads anymore, for the best results pair it with carbohydrate-rich foods like juices, shakes, or even a banana. 2. Eggs: Right after whey, comes in eggs. They are well known as complete protein source, including branched-chain amino acids for speedy recovery. To quote a well-known dietitian Leah Mark Leah, M.S., C.D.N., C.P.T. : “Trendy foods come and go—but “an egg is the gold standard”. An egg provides all nine essential amino acids (the building blocks of protein), plus branched-chain amino acids that help cut down muscle damage in the body, and you intake is just 70 calories apiece only. And for those who are after the best utilization of its nutritional values, don’t ever consider about throwing away the yolk: That golden center contains half the protein, not to mention all of the egg’s vitamin D and omega-3 fatty acids. How To Fit In: As per the diet experts, there’s no evidence that raw eggs beat cooked. You can have them in the form of from omelets in the morning to quiche at night. But the best is eating boiled egg(s). 3. Sweet Potatoes: A good nutrients-packed source of carbohydrates. Don’t be mistaken that protein alone can make you gain lean muscles. While you workout intensely, your body breaks down muscle glycogen – the so-called energy reserves – thus you’ll need wholesome, plant-based carbohydrates after your exercise session is over – if you want to be in shape for the next workout session. Your best shot? Sweet potatoes turns out to be a real super food when baked/cooked with the usual butter and cream. These humble roots ingested so are actually complete with 3 days’ worth of vitamin A and 26 grams of carbohydrates to replenish your glycogen supply. And bonus – this vegetable is chock-full of fiber, keeping you full—and so far away from the junk foods. How To Fit In: According to Sports dietitian and owner-director of Nutrition Energy in New York City Lauren Antonucci, M.S., R.D., C.S.S.D., C.D.E., C.D.N. : eating half your metric body weight in grams of carbohydrates after workout – which means only a single sweet potato – can put you well on your way to recovery. Consume one (or another beta-carotene-rich food such as pumpkin) to perk up your post-workout smoothie or oatmeal. 4. Avocado: You also need nutrients – monounsaturated fat for muscle repair and B vitamins to jump-start your metabolism. Don’t be scared of the f-word. To quote Sports nutritionist Cynthia Sass, M.P.H., M.A., R.D., C.S.S.D. and author of – Slim Down Now -: “An ideal recovery meal should also include good fat, which is needed for healing muscles and joints”. And Avocado foots the bill well. In addition to healthy fats, which are essential for absorbing vitamins A and E, it contains a suite of B vitamins that assist your body metabolize all those healthy carbohydrates and proteins you have been devouring. How To Fit It In: Put in a few slices into an omelet, or try the whole fruit into a super-food smoothie. 5. Cherry Juice: It contains host of antioxidants that are good to fight off muscle damage. These antioxidants are a great help at the gym. As per a study in the British Journal of Sports Medicine, the participants who drank 24 ounces of tart cherry juice every day (the equivalent of about 120 whole cherries) experienced less exercise induced muscle damages and just a fraction of the usual strength loss after exercise. How To Fit It In: Keep of the brands made from concentrate. Fresh juices are more likely to preserve and provide the beneficial anthocyanins and flavonoids naturally found in cherries. What Other Best Foods To Eat Post A Workout? 6. Greek Yogurt: Greek yogurt contains twice the amount of protein in comparison to regular yogurt and is a good source of carbohydrates as well. To quote Dr. Louise Burke, head of Sports Nutrition at the Australian Institute of Sport and co-author of The Complete Guide to Food for Sports Performance – Peak Nutrition for Your Sport: “Mix it with cereal or fruit or fresh berries chock-full of micronutrients, which have been proven to help fight muscle soreness”. 7. Fruit Salad: Fruits are not only rich source of carbohydrates, but they also contain enzymes to assist your body break down nutrients so that your tired muscles absorb them easily. Pineapple is one fruit that also contain anti-inflammatory properties to assist your muscles recuperate. Kiwi helps with digestion and assists to break down amino acids. Burke adds, “Plus, fruit offers a rainbow of anti-oxidants”. 8. Sandwich Wraps: Burke points out, “Wholegrain wraps are loaded with wholesome carbohydrates”. Consider having a turkey or chicken sandwich along with a bowl of soup on the side. This is especially a great meal if you work out during your lunch break. She further says, “Wraps are portable so you can eat them on the way back to your office!” And for those who prefer a salad after the gym, they should add some grains. To quote Manuel Villacorta, R.D., a spokesperson for the American Dietetic Association and founder of Eating Free: “One needs at least 1/2 cup of whole grains, so add some quinoa, brown rice, beans or pasta”. 9. Wholegrain Breakfast Cereal: Cereal is good choice any time of a day – in morning for breakfast or later in the day as a snack. Choose a high protein, high fiber cereal such as Kashi Golean, which provides 30 grams of carbohydrates, 13 gram of protein and 10 grams of fiber. It’s ideal for restocking the muscle energy stores. Burke recommends, make it something like a substantial snack and add dairy—milk or yogurt. Total Fitness Tip: According to diet experts, every thing boils down to the carbohydrates and protein. They’re the two key nutrients your body needs – and the appropriate time is right after you work out, when your blood circulates best. For those whose primary aim is to gain muscle, they should eat at least 30 grams of protein and 30 to 35 grams of carbs within a window of 15 minutes of your workout. And for those who are just trying to remain in shape or shed a few pounds, they can take their time and eat within 45 minutes or an hour after their workout.